As you can tell by this amazing fix, the previous owner was less than a wizard of electrical ingenuity. From the things that I had fixed in the rest of the car, I knew I'd find things in pretty poor shape and with the reputation of the wiring in 80's Volvos I knew that just patching it up was an exercise in futility. So.... 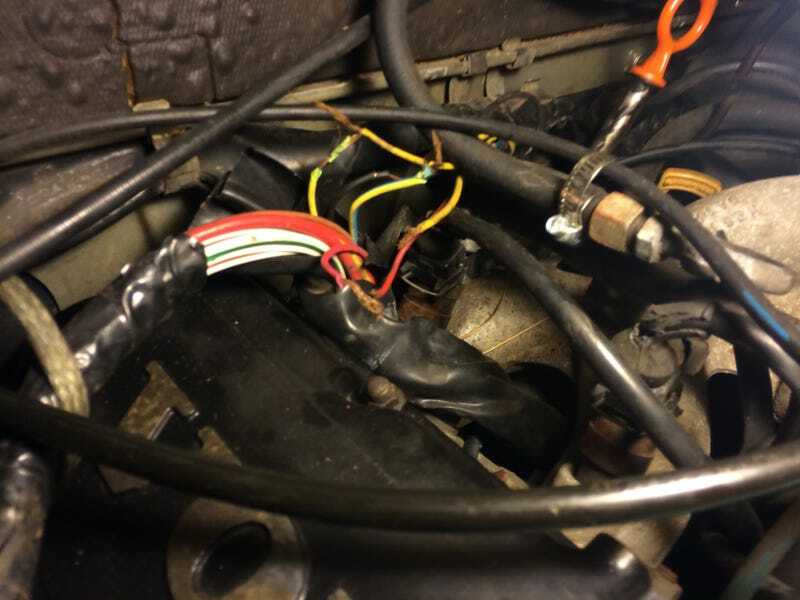 I decide to pull the entire engine wiring harness with the intention of retracing it with new wire and replacing the connectors that were beyond useless. Two short sessions of working on it, including pulling the intake manifold and busting quite a few knuckles, I have the darn thing out of the car. Isn't that engine bay so much cleaner with out the rat's nest below spilling its guts everywhere?